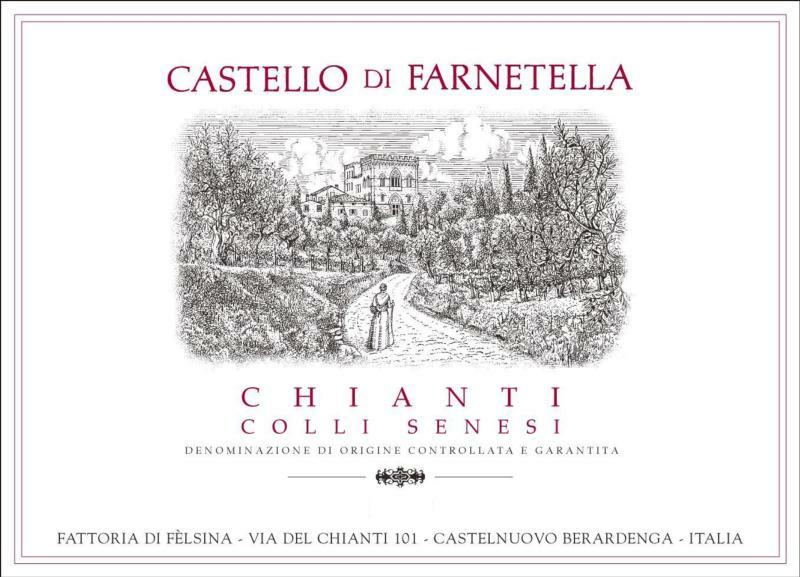 "In 1981 the owners of Felsina purchased the historic estate of Castello di Farnetella. Located about 30 minutes southeast of Castelnuovo Berardenga, this property should be considered a monopole cru among the otherwise uninspired appellation of Chianti Colli Senesi. The property and village of Farnetella encompasses a large hill, the top of which is near 560 meters in elevation. It has a mix of soils on it including sand, clay and limestone. While Farnetella is well-suited to Sangiovese, which makes up a majority of its plantings, there are also plots of Merlot, Syrah, Pinot Noir and Cabernet Sauvignon. The vineyards at Farnetella are all hand harvested and are farmed with the same attention and precision as those at Felsina. Organic, sustainable agriculture is practiced and they have incorporated some of the principals of biodynamics as well. Also, as at Felsina, the entire production is made from estate fruit. The wines at Farnetella range from the soft and approachable Chianti Colli Senesi to the more structured Poggio Granoni. The Chianti Colli Senesi has more flesh and is perhaps, more approachable than the Felsina Chianti Classico, but it is by no means less complex. It offers tremendous quality at its price point." James Suckling 90"Earthy with dried herbs and some fruit. Fruity palate, medium to full-bodied with a clean finish."